Download the app and join the movement with TruVision Health. Take the pledge to walk 10,000 steps each day and enhance your lifestyle. Track and improve other aspects of your life like your nutrition, hydration and even your TruVision supplements! Haven’t tried any TruVision products yet? NO PROBLEM. The app is a great place to get started. Just create your account and take advantage of our special offer for our 10k PLEDGE newcomers. Already a TruVision Health Associate? THAT’S GREAT! Here’s how it works ... * Download the app and create your account. * Sync any fitness trackers you already use so all your steps count toward the 10k PLEDGE! Just sync up your Fitbit, Garmin, Jawbone, or whatever you use. * Set up your daily Log by choosing any other daily habits you want to track and/or improve. * If you are already a TruVision Associate, enter your Associate ID to make sure all your steps count toward your TruVision Health account. This allows us to highlight your achievements when you achieve your goals! * And if you’re looking for more social support, tap into our TruVision Social Communities and share your journey, advice and support with other TruVision Associates, like you. More Features… * The TruVision Score helps you see which health habits you are rocking and which could use a little improvement. Use it as a baseline reference-point for how well you're doing overall and a motivator to help you keep improving. 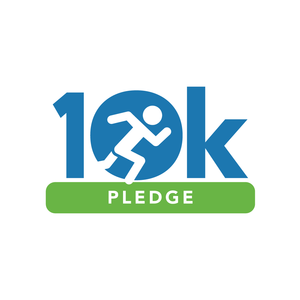 * Connect the 10k PLEDGE App with your favorite fitness tracking apps and devices and automatically sync data from Fitbit, Apple Health, Garmin, Jawbone, RunKeeper, Strava, Withings, InBody, MapMyFitness, Moves and more! 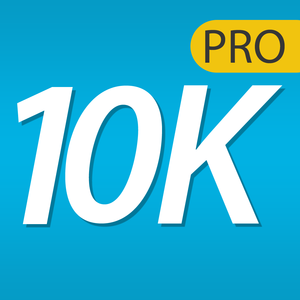 * Use the ‘NOTES’ section of the ‘LOG’ in the 10k PLEDGE App as your own personal health journal. Jot down useful notes about how you felt or what motivated you today. Smoothies are the ultimate treat for many. They are sweet, fun to drink, tasty and almost always healthy. Smoothies are a great way to fit fruits and even greens, into your diet. Buying smoothies at a smoothie shop or restaurant can get pricey. Making them at home is pretty simple. Have you been wanting to create your own smoothies at home, but don't know what the best recipes are? Well, look no further, we've got you covered with this app. We've gathered some of the most popular smoothie recipes around and are sharing them with you. Whether you're a fruit-o-holic or a dessert-o-holic, we've got you covered. Features include: ~ A large variety of 200+ smoothies. You'll never get bored with this many smoothie ideas! ~ 8 categories to search through: Green, Fruity, Protein, Dessert, Hearty, Breakfast, Nutty and Quick. ~ Search within the smoothie recipes for ingredients such as specific fruits or other ingredients. ~ Also, search within the recipes for ingredients NOT to include. ~ Make a grocery list from the recipes you plan on making. ~ Colorful images of each smoothie. 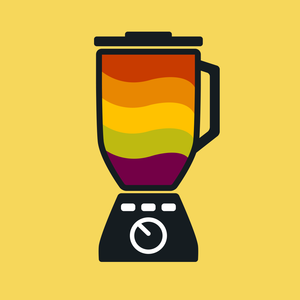 ~ App is for your iPhone, iPod or iPad So, grab your blender, your favorite ingredients and the 200+ Smoothies app, and lets make some smoothies! Track your Nutrition and Workout Plan with this easy to use app. Add colored containers for each meal while seeing the remaining portions for each container you have left. Also track the amount of water you've consumed for the day. Each day has the specific day's workout so you don't have to remember which workout you're on. Keep track of your transformation with the ability to enter your body measurement for both before and after your fitness program. A Fast Track is also included which lists out the foods and containers to eat for each day. Check them off as you complete each meal. Once you finish the fitness program, maintain your weight with the maintenance tracker. Calories and portions are automatically adjusted. Track your portions and see what's remaining just like when you were on the daily plan A container reference guide is included so you know what to put in each of the colored containers. This app is not affiliated with Team Beach Body or 21 Day Fix. Need to lose a few pounds in a hurry? The 3 Day Military Diet can help. It's not a long term lifestyle change but a short term, disciplined approach to knocking a few pounds off. This popular diet can help you look hot in a swim suit for the weekend, prepare for a hot date, amaze friends at a celebration or help you look your best and feel confident just about anywhere. 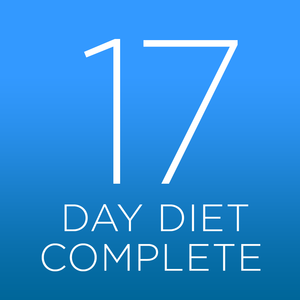 This diet is low calorie, low fat and low carb. With this app, you’ll be guided through 3 days of meal plans with easy to prepare foods. Cooking is minimal and you don’t have to exercise if you don’t feel like it. It’s only 3 days long, so you’ll be done before you know it. 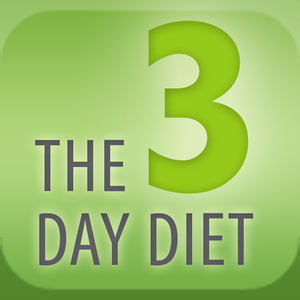 If you still need to lose weight after the 3 days are up, you can repeat the diet after 4 days of being off the diet. There's even direct personal support to answer all of your dieting questions. Features include: • Simple to follow meal plans Get specific and guided meal plans for all three days and check them off as you go. • Super easy substitutions Customize the diet to your preferences easily and without cheating. Full lists of substitutions are available for every item. •Personal support Ask our exceptionally supportive and knowledgeable staff anything you'd like. 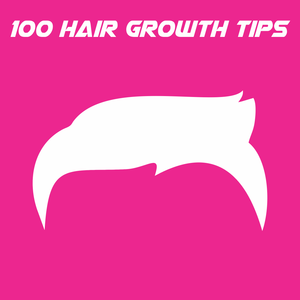 Get your questions answered quickly and confidently. • Categorized shopping list Every ingredient you need is categorized by where you'll find it in the store. Take the list with you and check off items as you fill your cart. • Weight loss progress chart Graphically monitor your weight loss to literally see the pounds drop. • List of approved food substitutions Customize the diet to your preferences without cheating. 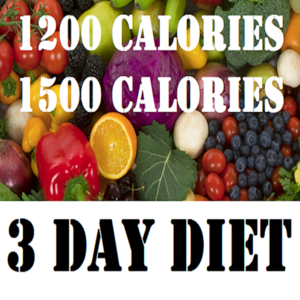 • Diet Guidelines Handy reminders to ensure your success over the next three days. Dieting doesn’t have to be complicated. 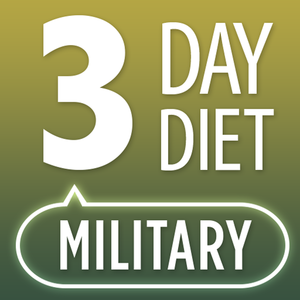 Make it simple and start the 3 Day Military Diet today! Take the 30 Day Arm Challenge and see what you’re made of! Build and grow your biceps, triceps, and forearms in this professionally designed 30 day program. Perform workouts including pushups, dips, and curls to grow those guns! Features - Professionally designed arm program to maximize muscle growth and shaping - Built in rest days for maximum recovery - Keeps track of what days you've completed and what days are left - Video description on how to perform perfect exercises - Clean and beautiful interface that is a pleasure to use every day So if you’re ready to feel the burn and get the arms you've always wanted then this is the app for you! Take the 30 Day Bikini Body Challenge and see what you’re made of! Shape and tone your body with this professionally designed 30 day program. Features - Professionally designed bikini centric program to strengthen and slim the parts that matter and burn calories - Built in rest days for maximum recovery - Keeps track of what days you’ve completed and what days are left - Video description on how to perform each exercise perfectly - Clean and beautiful interface that is a pleasure to use every day So if you’re ready to feel the burn and get your bikini body then this is the 30 day challenge you deserve! 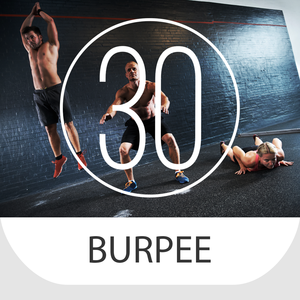 Take the 30 Day Burpee Challenge and see what you’re made of! Arguably the most rewarding but hardest full body exercise available; the 30 Day Burpee Challenge is going to be the hardest 30 days of your life! Features - Professionally designed burpee program to maximize your cardio endurance and muscle building potential - Built in rest days for maximum recovery - Keeps track of what days you’ve completed and what days are left - Video description on how to perform the perfect burpee - Clean and beautiful interface that is a pleasure to use every day Burpee Benefits - They work your whole body, thus burning more calories than most exercises - You can do them anywhere - They make you strong everywhere: Arms, chest, quads, glutes, hamstrings, and core muscles - They boost your endurance like no other So if you’re ready to get your heart pounding and be in the best overall shape you’ve ever been in then this is the 30 day challenge you deserve!